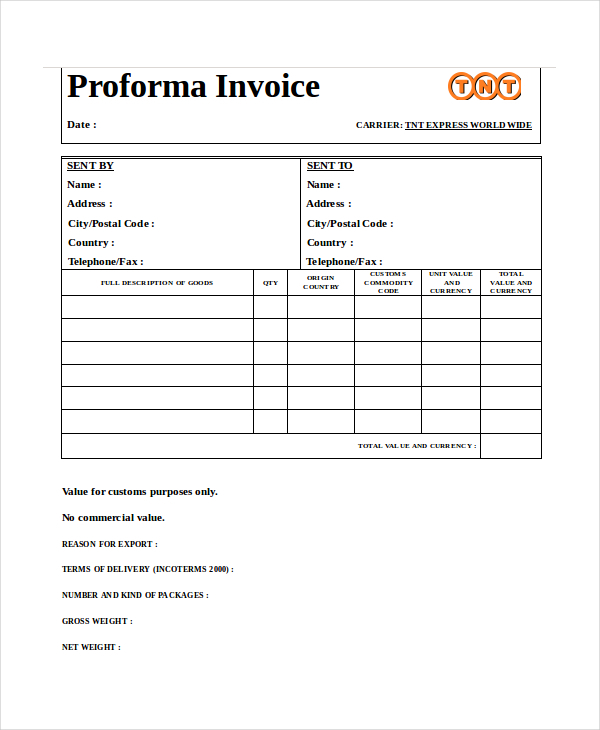 Proforma Invoice Template: Want to prepare a proforma invoice? Then check out the free templates which will assist you in making a proper and error free proforma invoice. 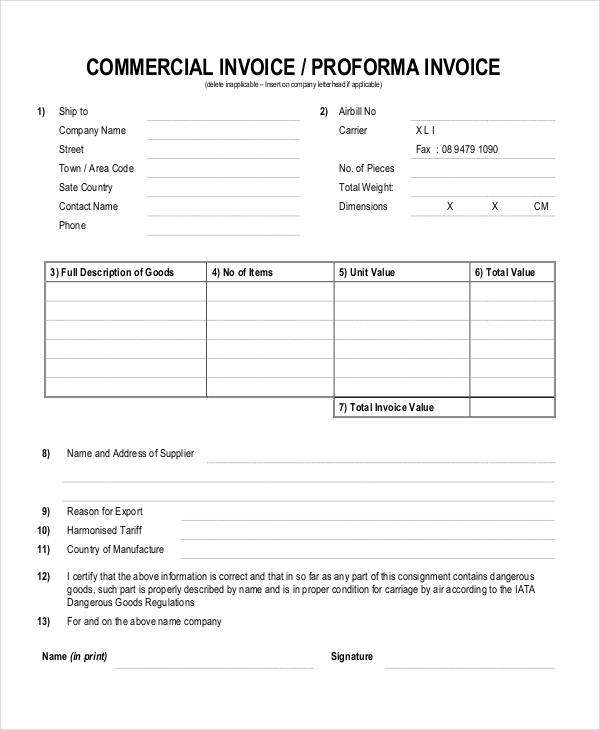 A proforma invoice is generated by the seller for the buyer in order to confirm the order or commitment to sell several goods or services at a mentioned price under definite terms and conditions. Both the parties i.e. Seller and Buyer must consider proforma invoice. It necessary for a seller to send a proforma invoice before the commercial invoice to let a buyer know the list of items or products and their price. A client came to know the amount of price that has to be paid for certain items or products. Preparing an invoice can be a daunting task. Use the already prepared Proforma invoice templates from below to ease your work. Many questions come to mind while preparing an invoice such as what is the correct format of the invoice? Am I creating a legal invoice? Am I using the correct layout? It’s irritating to deal with all these questions. Let’s not allow these questions to bring error in your invoice. It is advised to use the invoice templates to make an error-free invoice. Check out the templates from below and find the one that is appropriate for you. Use these samples as a reference guide to make your own proforma invoice. Anyone is allowed to customize the samples related to this business sales. Nowadays there are multiple ways to which one can create a proforma invoice such as proforma invoice templates and proforma invoice generators. Here you will find proforma invoice templates only, reduce your efforts in making an invoice for your customers. Here invoice templates are available in both Microsoft Word and Microsoft Excel formats. 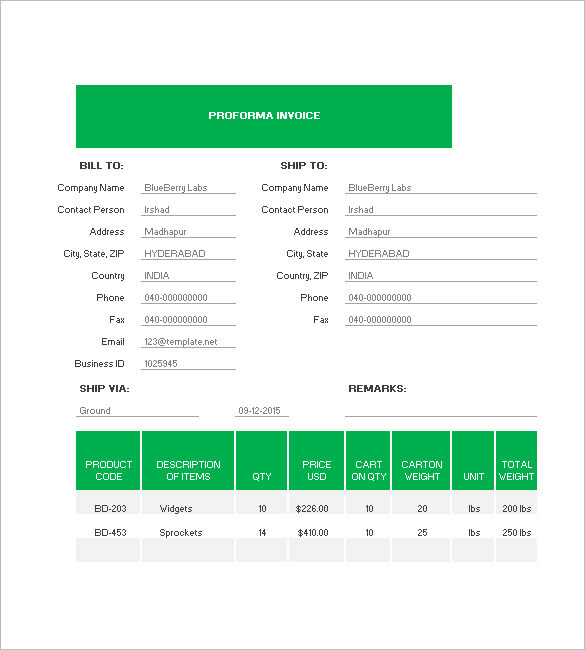 Use these templates to create proforma invoices with an intuitive layout and appearance just in few minutes. A seller or vendor generates a proforma invoice to declare the whole value of the physical goods or service before the actual transaction takes place. 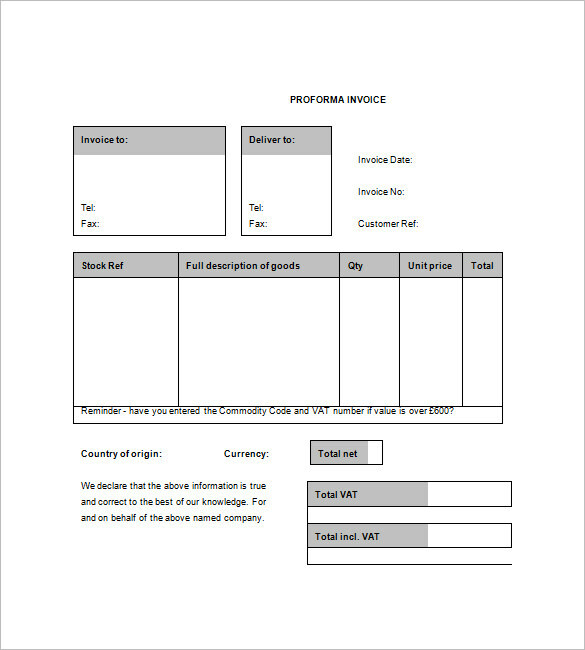 A proforma invoice is an important business document which is used by a wide range of businesses around the world. 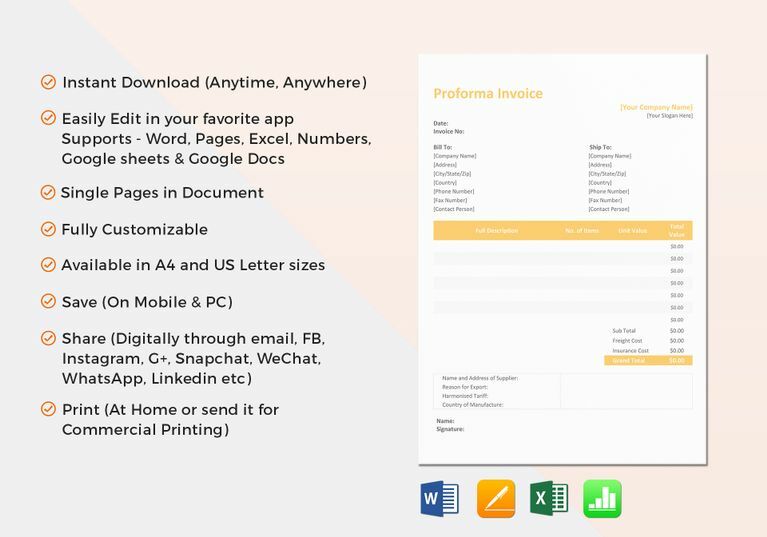 In case you have decided to make an invoice from scratch, then use word processing software such as Microsoft Word and Excel to prepare a professional proforma invoice for the company or business. But if you want to save your time & efforts or you are a beginner then use the templates shared above to get rid of preparing an invoice from scratch. Find a suitable template for you, download the template, open it on your computer, mobile, laptop etc and then put the data in the fields or spaces available. You can also edit or customize a template in any way as per your need or work requirement. We hope that till now you have downloaded a proforma invoice template. If yes, then why not share with other people as well on social media platforms. Leave a comment below to let us know how you’re going to use these templates. Your feedback helps us improve for better. Keep visiting for more and more useful templates in other categories and formats.